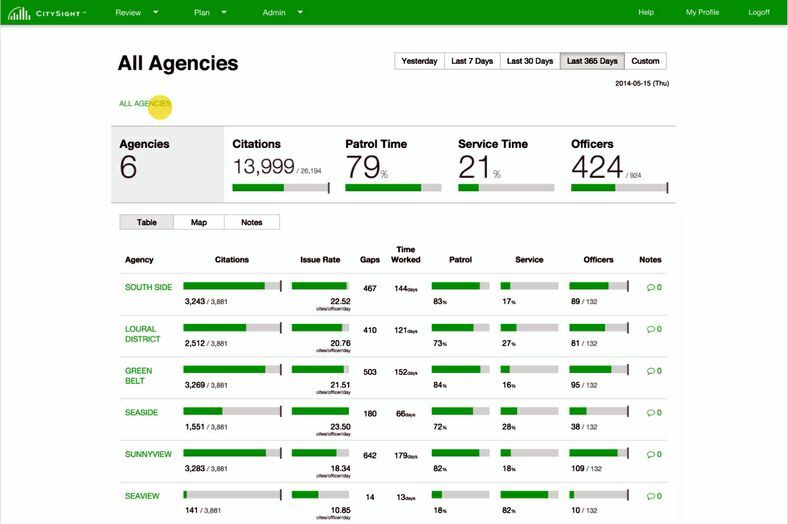 UXBRIDGE, U.K., June 29, 2015 – A new cloud-enabled performance management system from Xerox uses data analytics to help parking managers better manage workloads, make smarter patrol decisions and create high-performance teams of civil enforcement officers. On display this week at the 2015 International Parking Institute Conference and Expo in Las Vegas, CitySight® automates many manual processes by providing a logging mechanism that analyses the daily activities of civil enforcement officers (CEOs) such as time worked, patrols, public interaction, Penalty Charge Notices and more. Supervisors can then use the insights gleaned from the data to manage time and resources in a way that improves the flow of traffic, ensures the availability of parking spaces and keeps the public safe. Greater transparency and efficiency also make it possible for a CEO’s duties to span beyond parking enforcement to include handling service requests and public-driven complaints, or go where they are most needed. CitySight is now available worldwide as part of the package of urban mobility solutions from Xerox. Xerox’s international public transportation and fare collection centre of excellence is located in Valence, France. Xerox®, Xerox and Design® and Xerox SeamlessTM are trademarks of Xerox in the United States and/or other countries.